Was there ever any doubt that Downwell would be awesome on the Switch? Leave a Comment on Was there ever any doubt that Downwell would be awesome on the Switch? The only bad thing I can possibly say about Downwell is that it took way too long to be brought over to the Switch. It’s no surprise that Downwell turned out so well as a Switch game. After all, it was one of the best games to come out of 2015. With a ridiculously simple premise — the name says it all, you go down a well — it quickly became one of my favorite games for that year. Whether you’re into quick, pop in, pop out games or not, there’s absolutely no denying that this is one of the best fits when it comes to the Switch, given its form factor. 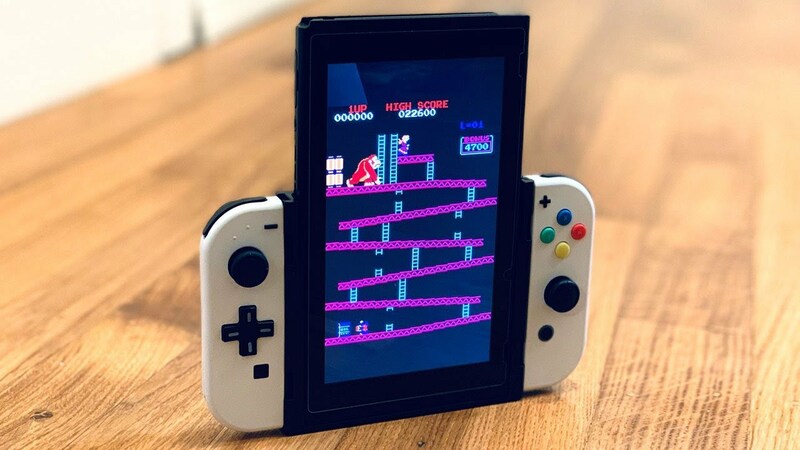 I haven’t had the chance to pop in a Flip Grip in order to give Downwell a shot — you know, that nifty accessory that was released a few months ago that turns your Switch screen vertically in order to play games such as old arcade classics, pinball, and well, now Downwell — but I hope to be doing so very soon. In any regard, I’ve given the vertical game mode a shot by playing the game on my Switch vertically, sitting it on a table, and man, if there was any game ever made to be played that way, it’s Downwell. And that’s not surprising at all, considering the portability of Downwell’s previous ports, like the Android version. Enemies and backgrounds get crazier and crazier as you progress through Downwell. If you somehow have managed to get this far and not have heard of Downwell, a quick starter: you play as a little guy who jumps down a well, only armed with gun boots and 4 clicks of health. You kill enemies by landing on them or shooting them, and along the way you’re able to upgrade your abilities, as well as earn bonus features for the game such as alternative graphic options. Each run can last you seconds or even minutes, and regardless of how you do, frustration is very low since it’s so easy to just restart and give it another shot. Downwell is ridiculously simple in both premise and presentation, and that plays exceptionally well for a portable experience. I have already found myself playing it off and on while just hanging around my house. It’s really easy to pick up the controls since they’re so damn simple, only one button that controls the jump and the gunshot once you’re in the air, and the directional pad (or analog stick). The thing is that being precise quickly turns into a must if you ever hope to get far (or in this game’s case, deeper in). Enemies are about as big as the main character, and while the tunnel is relatively large horizontally, it’s quite smaller that your usual shoot ‘em up level. Downwell is an exceptional game that does stellar work fitting in and making use of its scope. The best part is that it never overplays anything when it comes to its core design. You’re free to jump in and jump out as much as you want with little to no consequence, outside of just having to start over. Repeated runs are completely different thanks to the random nature of the tunnels you explore, but even so, there’s enough familiarity when it comes to the enemy variety in each of the biomes that you really start to pick tricks up along the way, helping you get ever deeper in each attempt. Roguelikes are the gems in indie devs’ eyes, and in pretty much all regards, Downwell is one of the shiniest you’ll ever come across, especially on the Switch. The only bad thing I can possibly say about Downwell is that it took way too long to be brought over to the Switch. Now that it’s finally out, there’s absolutely no excuse not to get this game. It’s only 3 dollars and will last you for a long time. Deceptively easy to get into and charming in its simplicity, Downwell is an excellent pickup for just about any Switch owner.